Businesses will soon get the chance to reach billions of Facebook Messenger users worldwide. Facebook is set to shake up the online advertising world by launching adverts on the home page of its online chat app. Facebook Messenger, which the company says has over 1.2 billion users worldwide, will soon show adverts on the home page, allowing companies to reach consumers with promotions and offers for the first time. 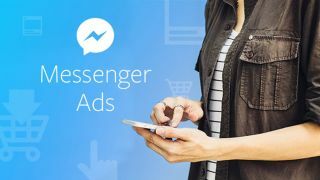 The ads won't appear in individual chats or conversations yet, although if the initial launch is a success, however tapping on an advert could be used to launch a new Messenger chat window where the advertiser can speak directly to the customer. Companies looking to use the new service are able to do so now, using Facebook's Traffic and Conversion objectives, with further options including the App Installs objective coming soon. The launch, which follows successful trials of adverts in Thailand and Australia, is Facebook's first attempt to help generate meaningful revenue from Messenger. The company had previously warned that its advertising income could slow this year as users switch to users mobile devices to access the site. Last year, Facebook announced that it would be allowing companies to speak directly to Messenger users through automated chatbots, allowing them to gather data or advertise straight to the customer.